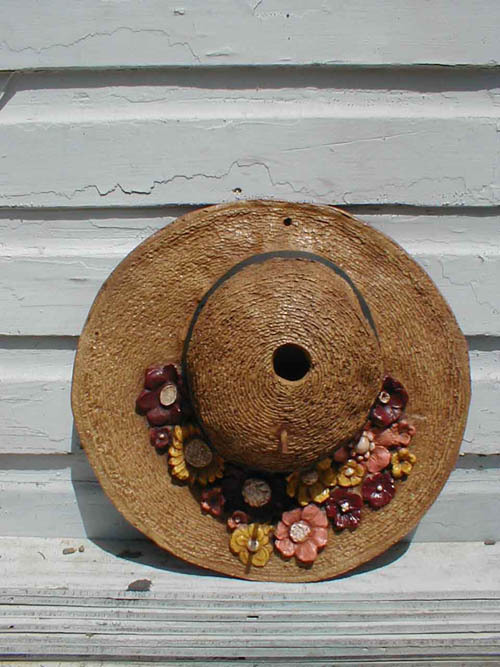 Description: Woman's hat bird house. For hanging on a garden wall outdoors. Item is hand painted resin and hangs like a picture.